A Soup Story: SPOT.ph names the best bowls of the beloved batchoy. 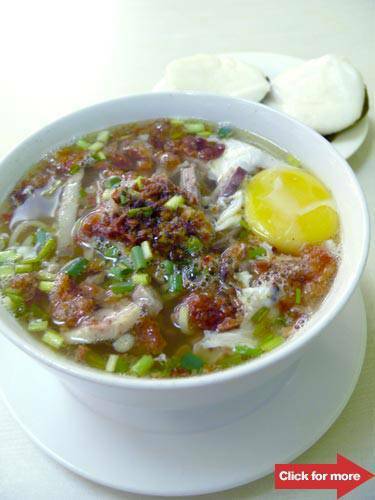 La Paz Batchoy, this blessed bowl of broth, noodles and meat, is an Ilonggo specialty from La Paz, Iloilo City. We're lucky that Ilonggo families (and their Bacolod neighbors) have brought the dish to Metro Manila restaurants and eateries-to provide us with a comforting meal during the rainy season, invigorate our early mornings and nourish us for merienda. The heart and soul of the batchoy is the caldo, the soup stock simmered from meat (pork and/or beef) seasoned according to the cook's secret recipe. The caldo is ladled on a bowl of meke (miki noodles) arranged with varying accoutrements such as sliced meats and innards, chicharon, fried garlic, chopped green onions, and fresh raw or boiled egg. A good caldo is a broth that could stand on its own regardless of how much filling you put on the bowl. You can finish it off till the last drop and ask for seconds to slurp with the noodles. Sometimes a good batchoy reveals itself through the aroma rising from the bowl-a hint of pork, the salty tang of guinamos (fermented shrimp paste), the fragrance of fried garlic. After tasting 20 bowls of batchoy, we've encountered the whole range of caldo-from the barebones broth to the one with all the fireworks. It's more than an ordinary soup stock, otherwise you might as well just eat a bowl of mami and squeeze half a calamansi on it. Always, the soup has a support system of long, thin meke noodles specially made for the batchoy. 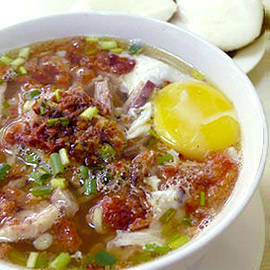 To counter the salty flavors, batchoy can be eaten with puto manapla or pan de sal. Though nothing beats batchoy from the batchoyans in Iloilo and Bacolod, here are some of the best we've tasted in the metro. Our best bets for batchoy. Click for more.